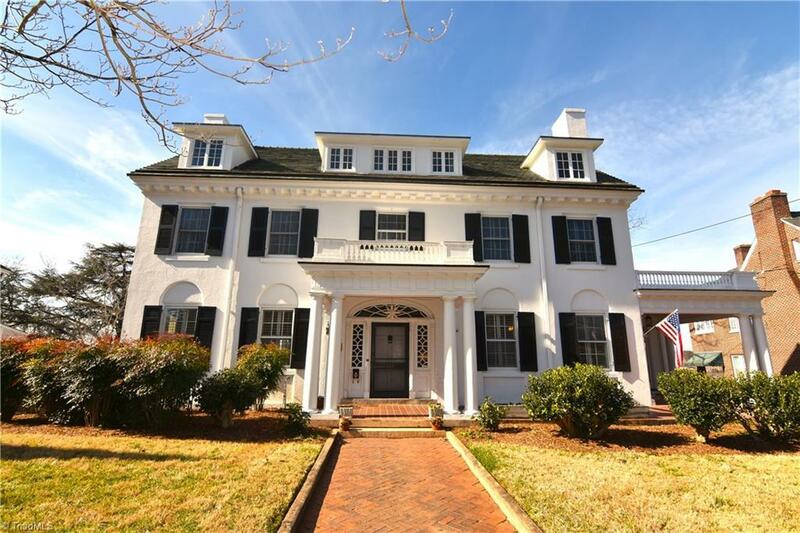 The Galloway house (c.1918) was designed by the prominent architect Willard Northrup & is one of the most outstanding Colonial Revival dwellings in the historic West End neighborhood. Available only for the second time in its 100 year history, this house is filled with museum quality details & still maintains its original grandeur. Multiple sunrooms and lovely covered back porch. 2 staircases & 6 FP's! Formal gardens very reminiscent of Reynolda. Wonderful location near parks, restaurants, & shopping.